On January 15, 2009, US Airways pilots Captain Chesley "Sully" Sullenberger and First Officer Jeff Skiles board US Airways Flight 1549 from LaGuardia Airport to Charlotte Douglas International Airport. Three minutes into the flight, at an approximate altitude of 2,800 feet (approx. 850 m), the Airbus A320 strikes a flock of birds, disabling both engines. 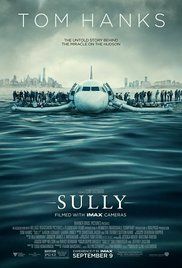 Without engine power and judging themselves unable to reach nearby airports (Teterboro Airport being the closest), Sully ditches the aircraft on the Hudson River. The crew and passengers evacuate without casualty. The press and public hail Sullenburger a hero, but the incident leaves him with symptoms of PTSD, and he repeatedly imagines the plane crashing into a building. Read more on Wikipedia.